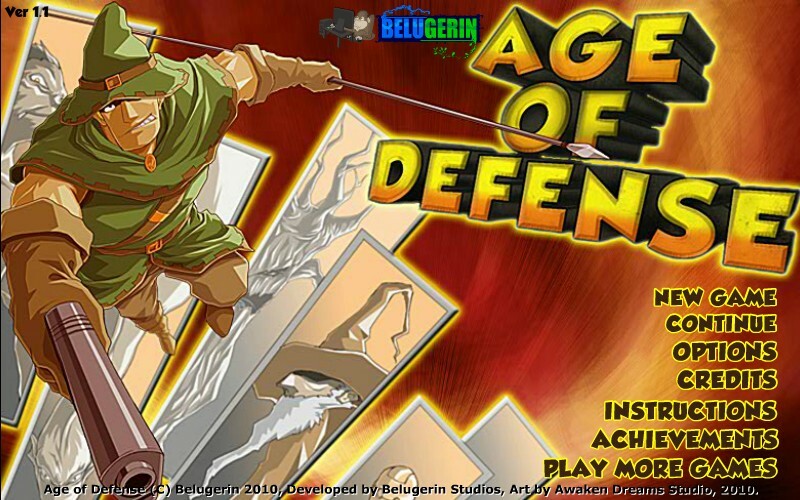 Defense Fantasy Action Aim And Shoot Upgrade Belugerin Studios Click to find more games like this. 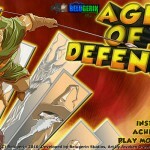 This awesome defense game was inspired by 4 great games - Age of War, Epic War, The Last Stand and Clash of the Olympians. 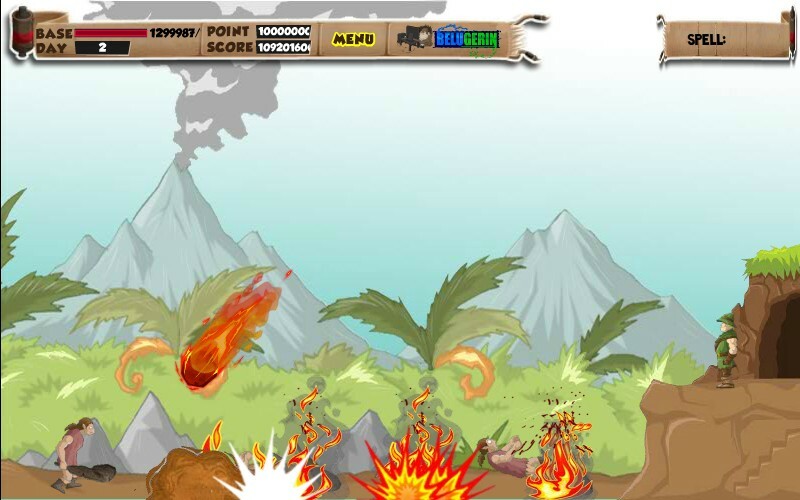 Your mission is to protect your base from the enemy onslaught at all cost and try to survive all 40 waves. 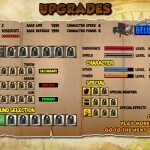 After each level you will get bonus points to upgrade your stronghold and your weapons. 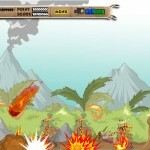 Use YOUR MOUSE to aim, click and hold LEFT MOUSE BUTTON to increase throw power, release to throw. 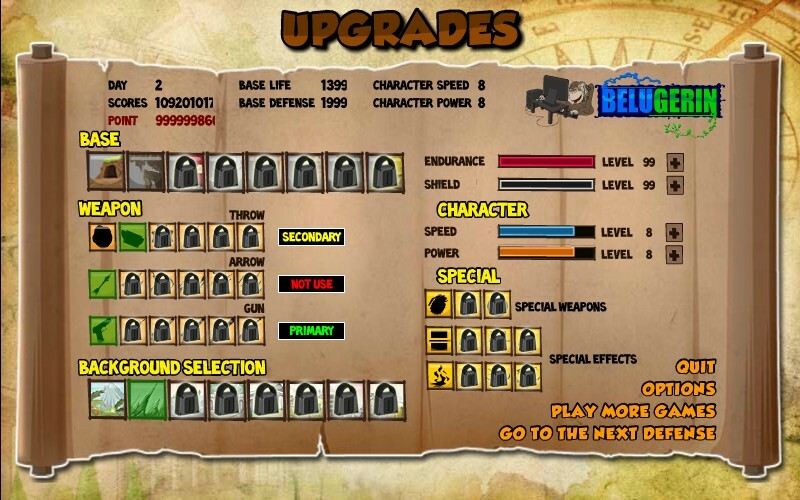 Once you upgrade your weapon click LEFT MOUSE BUTTON to shoot arrows and guns, when ammo empty, it will automatically reload. Click "1" KEY to use primary weapons. 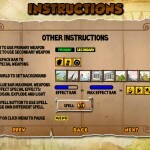 Press "2" KEY to use secondary weapons. 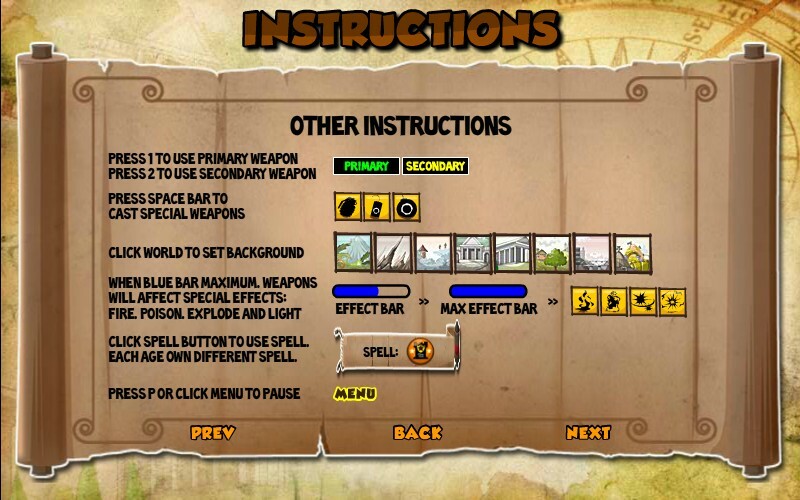 And press SPACEBAR to cast special weapons. Have fun!